The son of a Jamaican preacher man was born in the most westernly parish of Jamaica – Westmoreland. Kenneth Farquharson started singing at an early age in the church. Seeking a livelihood he moved to the city of Kingston in 1963 where he worked as a clerk in a haberdashery store in the heart of downtown Kingston, the Mecca of the music nucleus of Jamaica, then in a Drug Store on Orange Street. During his break time he would practice his singing which came to the attention of talent scouts of the era. His professional name became KEN PARKER. Producers became enthralled with his unique falsetto and many recorded him; producers including Bunny Lee, who was the upfront Federal and Upsetter Label person at that time which became Dynamic Records. They recorded Ken Parker’s first song during this time. His primary influences were Sam Cooke, Jam Reeves, Clive McFadden, Ray Charles and Brook Benton. He recorded William Bell's original “My Whole World is Falling Down” which was his first big hit; he then founded the Blues Blenders comprising of his friends Bill and Jill. He then recorded his original song entitled “Honeymooners in the spring” which was produced by a Mr. Anderson – This became quite popular in that time and brought much attention to him and his unique voice and love song stylings. Moving away from the many local producers who had great interest in his talents, Ken Parker developed a stable relationship in 1965 with the Music University on Brentford Road: Studio One Records. He then recorded his first gospel song on the Studio One Jamrec label – “Keep your eyes on Jesus”, which brought him much acclaim. After that acknowledgement and success, he then returned to the management of Bunny Lee, and joined the Bunny Lee stable, and recorded a cover of one of Sam Cooke’s big hits, he also recorded other Jim Reeves songs much to his benefit among others who had influenced him. His first recording was a massive hit – “My Whole World is Falling Down”, followed by the haunting ballad “Help Me Make It Through The Night”, The Joe Simon original hit. Teaming up with Willie Lindo, he just completed a Classic Album of old gospel favorites. He continues to focus on his lovers’ rock material and style. Specializing in romantic lovers’ rock, his “I Won’t Cry” became the anthem of all broken hearted persons. During the Ska & Rock steady era, he carved his own niche with his easy lovers’ rock style love songs under the influence of his mentors. Ken, recalling his difficulty to reproduce the Sam Cooke sounds, this inspired him to strive for the Top Voice Range and he succeeded in this endeavor. Travelling to the USA in 1969 after leaving Jamaica with the Studio One produced hits “My Whole World is Falling Down” and “Choking kind” which further gained him the attention and appreciation he sought, this would then become the beginning of his international success story; as this brought him to the attention of another producer, Joe Gibbs, his classic recordings of “Only Yesterday”, “It’s Alright”, a Sam Cooke original, “Rolling in”. In 1971 he re-recorded “True True” on the Treasure Isle label which climbed the British Charts and gained him the top place he craved which featured his Treasure Isle recordings. This epic release historically displaced the Michael Jackson hit “Ben”. He repeated this achievement on all major charts in Europe. “Heartbreak Woman”, an original followed. “Say Wonderful things to me” his remake of – a Patti Page original was also a big hit. The classic, “I Can’t Hide”, his original “I Won’t Cry” – on the Studio One Label occupied the Top 100 hits of years 1967 to 1968. The smooth rhythm and poignant lyrical content was a must for everyone who ever suffered a broken heart. His Touch of Inspiration Album is a must have for all Record Collectors. This was released in 1984 by Pisces Record, his personally owned label. The Haunting “He's Gone” is in tribute to his son whom he lost emotionally in England. Another experience led him to pen and deliver another classic “Getting Nowhere with you”. Music with tear jerking lyrical contents were the hallmarks of Ken Parker enhanced and punctuated by his wonderful voice taking it to the limit with his unique falsetto styling. He has shared the stage with many renowned artistes including Jerry Butler, Ben E. King, Jamaican artistes including Dobby Dobson, Dennis Brown, Norris Weir, Alton Ellis and Ken Booth. He has just completed a successful tour of England with childhood associates the original Keith and Tex. They performed and thrilled the many fans of the London International Ska Festival. 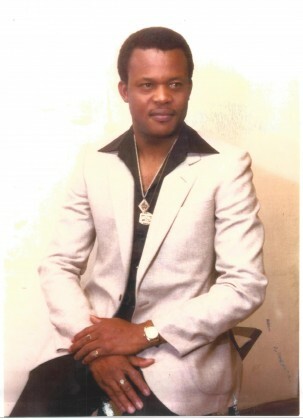 Ken Parker is the original lovers’ rock artiste of the late 60’s into the 70’s. The soothing tone of his voice added comfort to folks who were forlorn in love. His other albums “Touch of Inspiration”, “A glint of gold”, “Jesus on the Mainline” and “I shall not be moved” has brought much comfort and solace to many fans across the world. His gospel classics are still current staples and are regularly rotated on all gospel formatted programs and radio stations internationally. His rendition of “Across the Bridge”, the classic Jimmy Brown, “Peace in the Valley” are also timeless Odes to Lovers Rock including a touch of gospel which speaks to his spirituality, his love of God and the foundation of himself and dedication and giving thanks to his Creator. Ken Parker, the quintessential Lovers Rock practitioner is still at his best, his unique voice is still unblemished on his most current work, and the Gospel Album “Ken Parker Amazing Grace” is an Album produced on his own by Pisces Record Label. He recorded this prolific Gospel album at the renowned Heavy Beat Recording Studio in Miami under the direction and expert legendary musical arrangement of Willie Lindo and Kaschief Lindo in Miami, the main coordinator of this album. “Amazing Grace”, the latest Gospel Album has 13 cuts exquisitely recorded and arranged by the best of the best with musicians from Jamaica and Africa, a masterpiece of no mean order. Ken Parker recently returned to the seat of his early successes, England earlier this year. He toured with long time friends the original Keith and Tex. They performed in the cities of London, Birmingham, Wolverhampton and other cities throughout the United Kingdom. He was extensively welcomed, acknowledged and received by his old fans and made many new ones including the youths of England and Europe. His fan base came from over 31 counties, they came out for the Ken Parker experience they heard of which never changes. Ken parker has expressed his acknowledgement of a wonderful gift from a generous God as he continues to sing praises on his latest release. His heart-stopping style “I Can’t Hide” was used as the music bed for may top brands throughout Europe. His haunting sounds in his rendition on his “Touch of Inspiration Album” – Am I that easy to forget – garner and leave a reaction from anyone who has ever had a broken love affair. Sweet Dreams also showcases his wonderful range and his specialized voice control, blending Rock Steady with Lovers Rock and his straight up Reggae Rock ability. His “Getting Nowhere with You” displays his writing skills and was written from a real life experience. Please contact us at Jack Russell Music if you would like to use any of Ken Parker’s compositions for film, television, electronic media or covers.